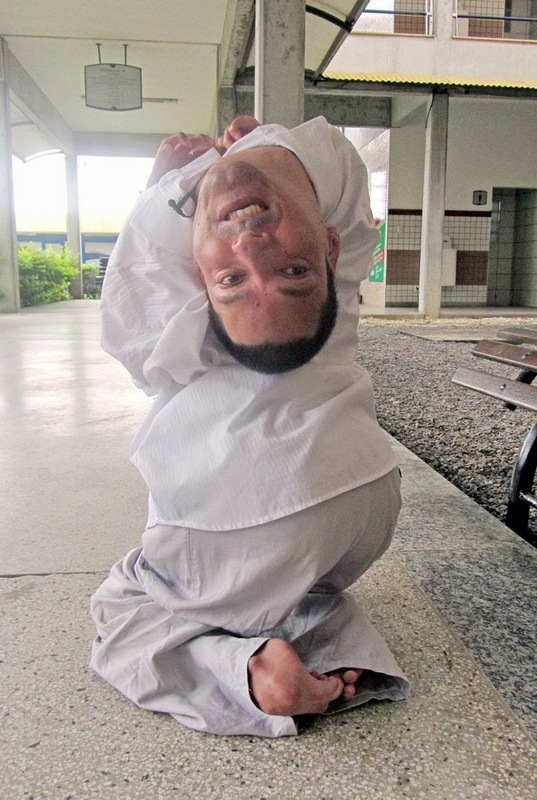 A man born with physical disabilities so severe his head is UPSIDE-DOWN has defied the odds to become an inspirational public speaker. 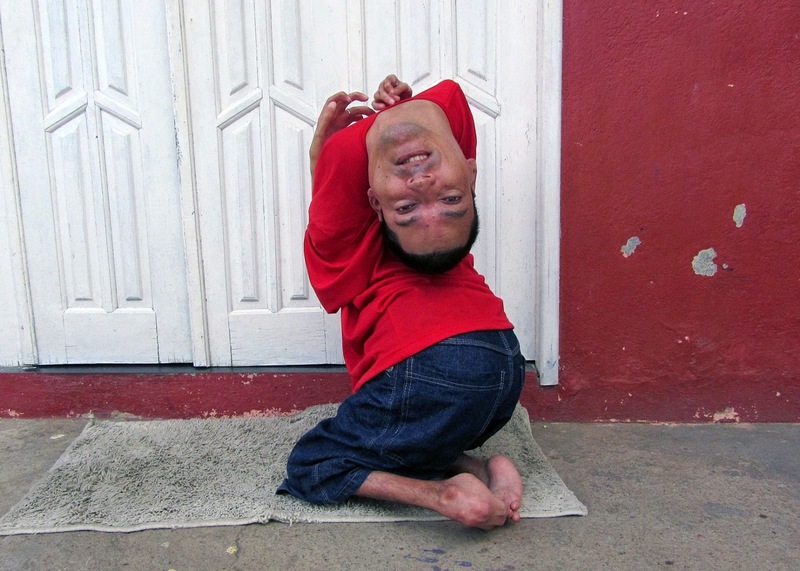 Claudio Vieira de Oliveira, 37, was born with his neck is folded back on itself, as well as badly deformed legs and almost no use of his arms and hands. Doctors told his mother to stop feeding him as a newborn as they believed he had no chance of survival. But Claudio from Monte Santo, Brazil, has overcome his extreme disadvantages to graduate as an accountant and become a public speaker. Claudio said: "Since I was a child I've always liked to keep myself busy and work - I don't like to depend totally on other people. Claudio types with a pen held in his mouth, operates phones and a computer mouse with his lips and has specially made shoes that allow him to move around town. 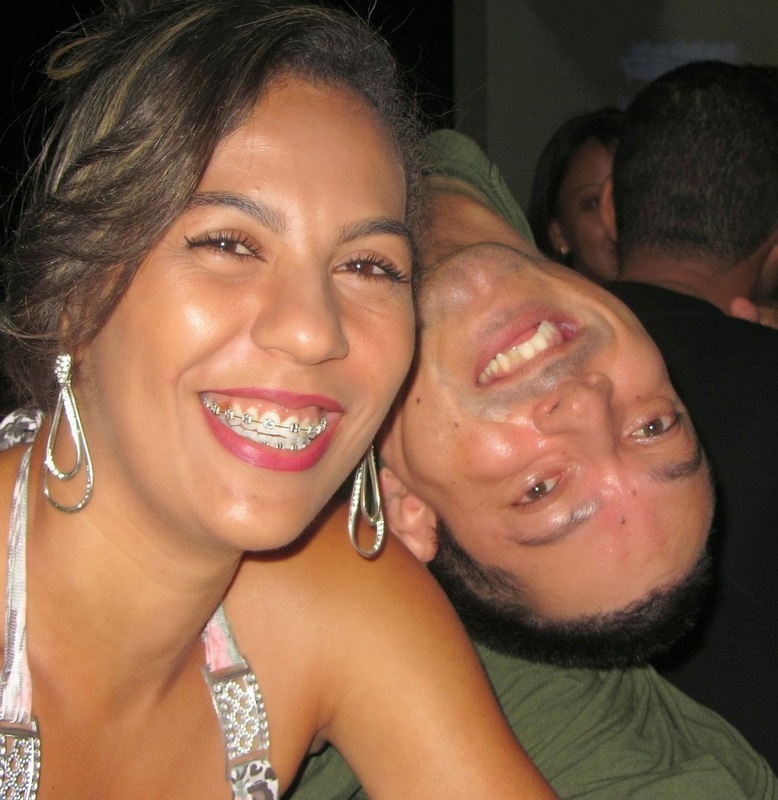 His determined independence saw him succeeding at school and qualifying as an accountant from the State University of Feira de Santana. When Claudio was born, doctors told his mother Maria Jose he would not be able to survive. Maria Jose said: "People started saying 'the baby is going to die' because he could barely breathe when he was born. "Some people would say: 'Don't feed him, he is already dying'. "But there's only happiness now. Claudio is just like any other person - that's how he was raised in this house. "We never tried to fix him and always wanted him to do the normal things everyone else does. "That's why he is so confident. He is not ashamed of walking around in the street - he sings and he dances." At eight years old, Claudio, who had previously been carried everywhere, began to walk on his knees. 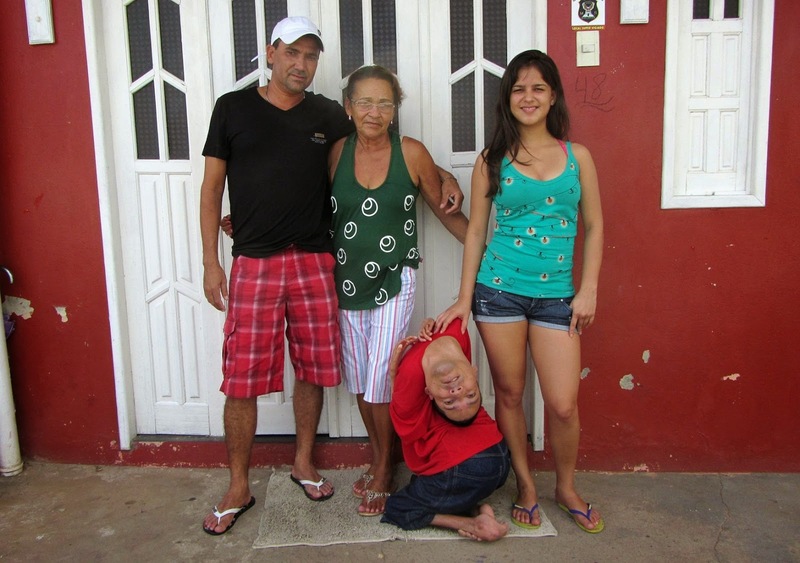 His family had to change the floor of the house so he could walk around without injuring himself. Claudio's bed, plugs and lights had to be made lower so that he could do things for himself without asking for help. He cannot use a wheelchair because of his unusual shape, making it hard for him to be independent outside the home - but he begged his mother to be allowed to go to school and learn with the other children. 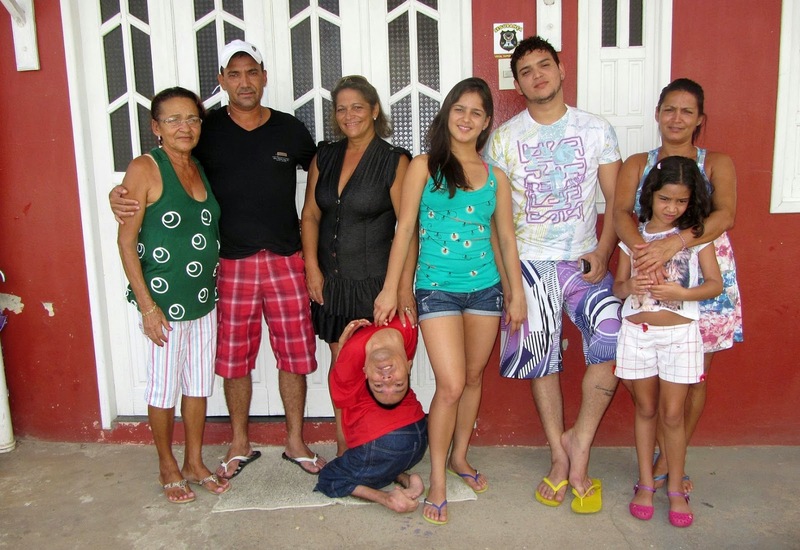 Doctors have recently diagnosed him with a rare condition called congenital arthrogryposis. They believe he has multiple joint contractions in his legs and arms which mean they cannot extend properly. Claudio said: "Throughout my life I was able to adapt my body to the world. Right now, I don't see myself as being different. I am a normal person. "I don't see things upside-down. This is one of the things I always talk about in my interventions as a public speaker. "Nowadays it's much easier to deal with the public, I'm not afraid of it anymore and I can say that I am a professional, international public speaker and that I receive invitations from all over the world." 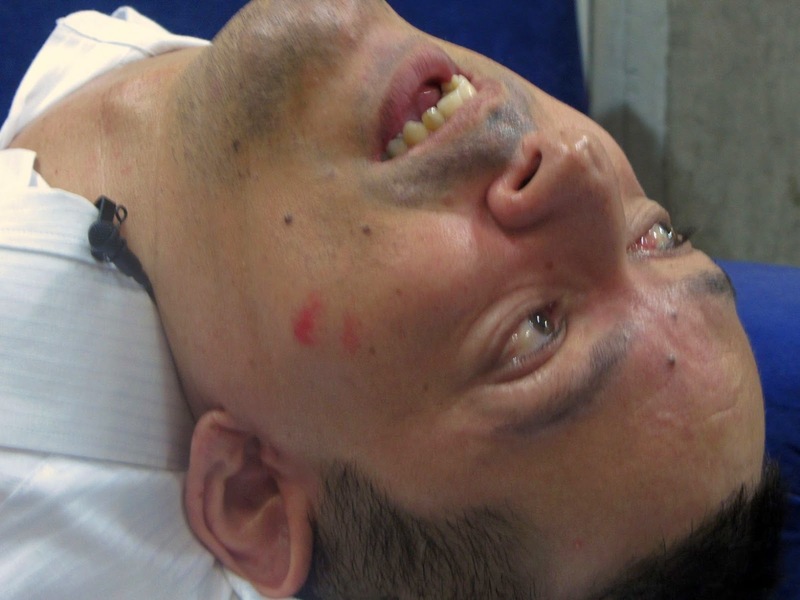 Claudio's story will be featured on Body Bizarre, which starts on September 4, 9pm on TLC.